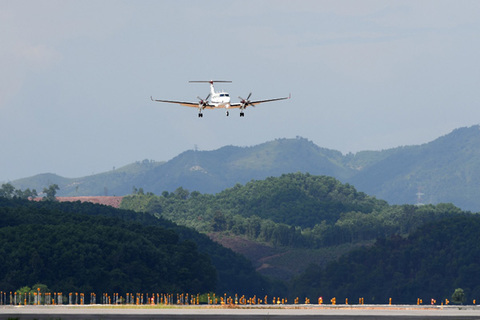 With transport infrastructure works worth trillions of đồng, notably Vân Đồn International Airport, the northern province of Quảng Ninh has become a magnet for investment from domestic and foreign sources. As one of the country’s 17 coastal economic zones, Vân Đồn is set to become an island eco-tourism centre and a hub for international aviation and trade to promote economic development in Quảng Ninh. The zone was founded in 2007, but until three years ago, Vân Đồn was still known for its beautiful and wild scenery and not for its impressive investment projects. Nguyễn Đức Long, chairman of Quảng Ninh’s People’s Committee, said the province had welcome investors from Las Vegas three years ago, who wanted to seek investment opportunities in the Vân Đồn Economic Zone. “They said they were impressed by the region, but asked us how they could get here,” said Long. This question made us extremely concerned. Many investors have come and gone. The key issue is that Vân Đồn has the potential for development, but poor transport infrastructure was affecting investors’ costs and efficiency. Everything has changed. Vân Đồn has “waded upstream” and risen up spectacularly in the transport infrastructure. The first flight that landed safely at Vân Đồn International Airport on July 11 was seen as an important milestone, preparing for the official launch of the airport. It is the first international airport built by private investors in Việt Nam under the Build-Operate-Transport (BOT) model with total investment of about VNĐ7.7 trillion. 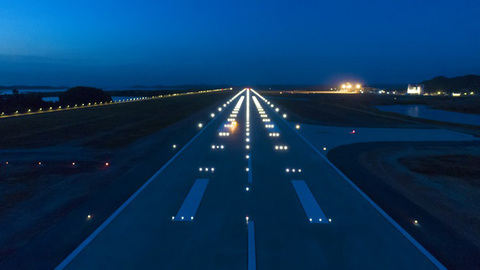 The airport reaches level 4E according to the standard code of the International Civil Aviation Organization - ICAO) and military airport level II. Vân Đồn International Airport is scheduled to officially open in December this year with a capacity of accommodating large and modern cargo aircraft and about 7,000 passengers daily. 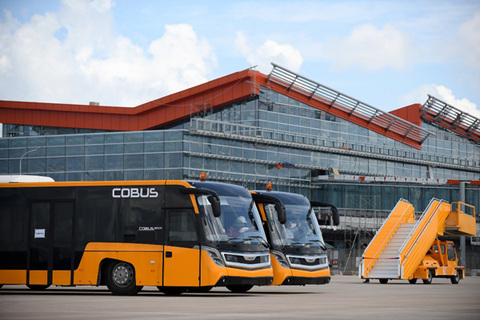 In the first phase to 2020, the terminal will be capable of serving 2.5 million passengers per year, and 1,250 passengers per hour at peak times. The fast development of Vân Đồn in particular and Quảng Ninh in general is seen as testimony to the dynamics of private investment because no other airport has opened in Việt Nam just two years after receiving approval. It does not only "open doors" to the world, Vân Đồn also is linked to other localities by a high-speed road system worth of trillions of đồng, including Hạ Long - Vân Đồn expressway, Vân Đồn - Móng Cái expressway, and the ongoing Hạ Long – Hải Phòng expressway, which is expected to generate an effective transport network in the north. From 2012-17, Quảng Ninh Province mobilised and attracted more than VNĐ57.6 trillion to improve infrastructure for the development of Vân Đồn District, of which non-State budget capital reached VNĐ40.3 trillion, accounting for 70 per cent of the total. The breakthroughs and creative thinking used to mobilise private capital to invest in key transport infrastructure projects in Quảng Ninh have been applied in other localities by the Ministry of Transport. Bùi Hồng Minh, deputy director of Quảng Ninh’s Department of Transport, said that the construction of Vân Đồn International Airport aimed to create momentum for the Vân Đồn economic zone to attract investment. In fact, as soon as Sun Group officially invested in Vân Đồn International Airport, it attracted attention from many domestic and foreign enterprises and big private corporations. Names such as CEO Group and Viglacera Corporation have plans to pour huge capital into large projects in Vân Đồn District. Quảng Ninh and Sun Group set up and promoted plans to open routes to potential markets one year ago. Associate Professor Trần Đình Thiên, former director of the Việt Nam Institute of Economics, said that investors in transport infrastructure would connect with tourism projects and airlines to promote their projects, generating revenue as soon as the projects were put into operation. That is also why transport is always a force for general development. As commercial flights continue to take off and land at Vân Đồn International Airport, it will also be time to promote other economic sectors such as manufacturing, processing, high technology, logistics and tourism. "Vân Đồn International Airport is an important" push "for Quảng Ninh to continue calling for and mobilizing huge investment resources for fast and sustainable development," said chairman of the provincial People’s Committee, Nguyễn Đức Long. Since the end of 2017, Quảng Ninh has called for investment in 14 large-scale eco-tourism real estate projects to develop four main tourism centres: Hạ Long Bay, Móng Cái - Trà Cổ, Vân Đồn - Cô Tô and Uông Bí - Đông Triều - Quảng Yên. According to the management board of Quảng Ninh’s economic zones, many projects with investment capital of billions of US dollars have arrived from the US, China, Thailand and the UAE.